Goldendoodle Puppies – Star Creek Kennel, L.L.C. Welcome to our Goldendoodle page. 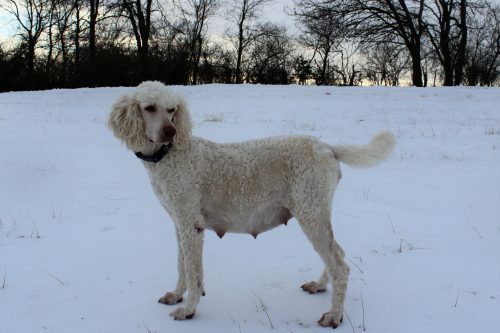 We breed various sizes and colors of goldendoodles so be sure to check out each litter page. Notice that birth dates and ready to go dates are listed for each puppy. Puppies will not be ready to go to homes until they are 8 weeks old or even longer. The smaller the puppy, the longer they stay with us. We accept applications and non-refundable deposits at any time for current or future litters. We are a GANA approved breeder (Goldendoodle Association of North America). Our parents are fully health tested. We are a Blue Ribbon level breeder completing health tests including hips, elbows, heart, eyes and genetic. We also complete patella exams on our smaller dogs.